Esports, and other games : Vainglory - Learners who have qualified for National Team Trials. Vainglory - Learners who have qualified for National Team Trials. 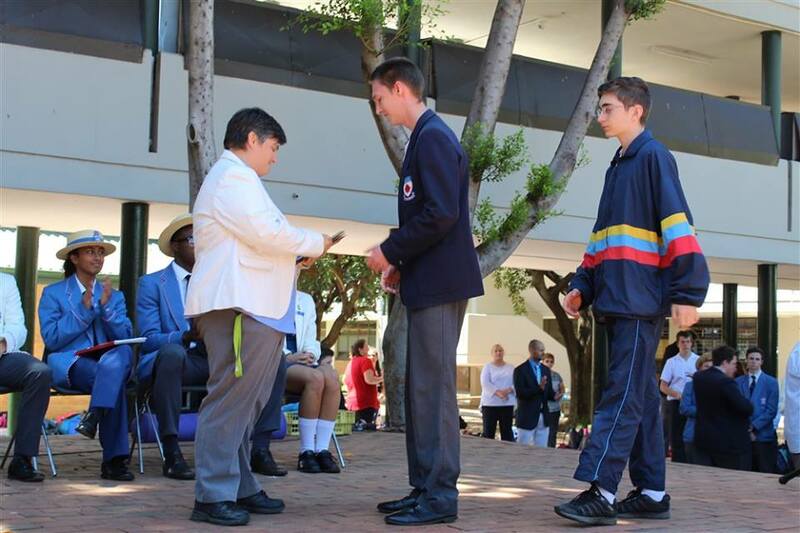 Northcliff High's gamers receiving school awards. Vainglory has pushed the boundaries of what is possible when it comes to mobile games, and has created the world of esports. Vainglory is ae esport title developed and published by Super Evil Megacorp for iOS and Android devices. Vainglory is a multiplayer online battle arena (MOBA) game which has a little bit of similarities to the popular MOBAs League of Legends and Dota 2 but is instead designed for smartphones and tablets. As standard for the genre, two opposing teams fight to reach and destroy the enemy's base while defending their own base along lanes which connect the bases. In addition, there is a "jungle" beetween the lanes, which contains creatures and objectives that can be killed or captured. Mind Sports South Africa (MSSA) first introduced the title in 2017, and while particiation in such title was disappointing in 2017, participation has grown. Participation in MSSA's 8th Online Inter-School Championships held on 10 February 2018 actually exceeded the numbers of participation at all of the events held in 2017. In 2017, the team from Northcliff won every event in which they played, and with the increased number of participants in 2018, many an official wondered if they would hold onto their lead. Northcliff High School romped home to victory in MSSA's 8th Online Inter-School Championships to earn their berth in MSSA's 2018 National Team Trials. MSSA's 8th Online Inter-School Championships allowed two other teams to also qualify for MSSA's National Team Trials (NTT). Unfortunately Vainglory is not played out of school level, and will not be played at MSSA's 36th Gauteng Championships, but will be played at all school championships and leagues.